As Spiders, we already know the University is committed to making a Richmond education affordable for talented students of all backgrounds. Seems the word is getting out. 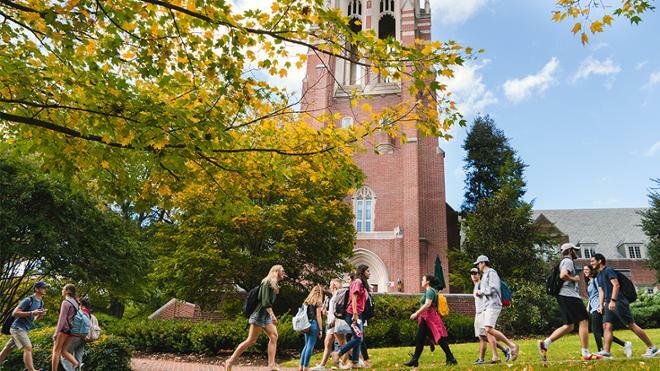 The Washington Post recently published a report that shows the percentage of students who are Pell Grant recipients at America’s 150 best colleges. Why Pell Grant recipients? The federal grants target students with significant financial need, so the percentage of Pell recipients enrolled is a useful proxy for gauging an institution’s true commitment to access and affordability. The data shows that 16 percent of Richmond’s first-year students in fall 2015 were Pell Grant recipients, a figure that has been rising steadily for a decade. Dig deeper, and you’ll see this is the same as Harvard, whose endowment is more than 16 times the size of ours. We’re doing better on this measure than four of the other Ivys: Dartmouth, Cornell, Penn, and Brown, all of whom have much larger endowments than ours. We’re also more successful at this than every other school in Virginia. Our commitment to affordability is the reason we have policies like need-blind admission and meeting full financial need for all admitted students. It’s why we offer UR Summer Fellowships, so that finances don’t keep a student from pursuing a great summer internship or research opportunity. And it’s why we’re one of the founding members of the American Talent Initiative, an alliance to substantially expand the number of talented low- and moderate-income students at America’s undergraduate institutions with the highest graduation rates. We’re proud to again be recognized as a leader on this important issue. Even the Ivy League, it seems, might have a little to learn from us.